Smoker to triathlete: Banting - Should it be a way of life for everyone? Before we begin, I am not nor have I ever had any training as a nutritionist. These views are simply my own based on my findings over the past 2.5 years but more specifically the last 30 days. As you may or may not be aware I gave up smoking in January 2012, fell off the wagon in August 2012 and have been back on the wagon for over 1000 days since November 2012. After I decided to give up smoking, I decided to take up triathlon to give me something to concentrate on. What followed after my previous sedentary lifestyle was a period of weight loss. I started at 16 stone 5 pounds and eventually bottomed out at 15 stone give or take a pound or two. However since November 2013 my weight has hardly shifted at all. 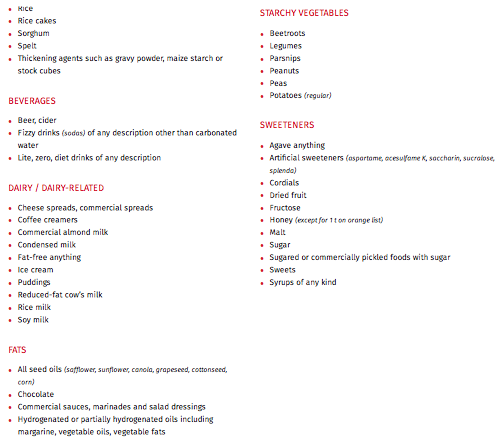 I have revised what I eat to try to initiate more weight loss to no avail. This has been increasingly frustrating and has led to bouts of crying about it to my ever supportive wife. Yes I am fitter than in November 2013 but I still weigh the same. This was highlighted at my numerous lactate threshold tests (Nov 13, Jan 14, Apr 14 and Mar 15) at Blizard Physiotherapy where the weight was consistently around the 14st 12lb mark. To achieve what I want to achieve in triathlon, something has to change. My diet before July consisted of typically something like this. Tea – Something cooked by my lovely wife that consisted of a "healthy" mix of protein, fats and carbs. On paper, this looks a healthy diet and it is. The problem was that I wasn’t losing any weight. Some weeks I’d weigh less, other weeks more. I was so frustrated by this. My weight was starting to hold me back on what I could on paper achieve. This was further highlighted the other week when I went out for a bike ride one Sunday evening with my good friend Max. We averaged 20mph for the ride and on getting back I looked at my power data like the data nerd I am. My average wattage for the 90 min ride was 236W and I wasn’t burying myself for that. We were working but it wasn’t unsustainable. A few days later Wattbike shared Luke Rowe from Team Sky’s power data for Stage 2 of the TDF. Luke Rowe averaged 236W and his speed was 27.1 mph. The only difference apart from him riding in a peloton which will have made him quicker was just the small matter of 23kg. To put this into context I wonder how he'd cope riding carrying a bag of sand and 3 bags of sugar. He weighs a feather weight 72kg compared to my 95kg. Like I said something has to change for me to move to the next stage on this journey I am on. Almost at the same time as this David Tune of Blizard Physiotherapy was telling me about banting and how he had lost 20lbs in just over 2 months (for those that know Dave- I didn’t think he had 20lbs to lose). I had a lightbulb moment and thought “what is the worst that could happen?” Try it for a month or two and see what the outcome is. Bear with me on this. 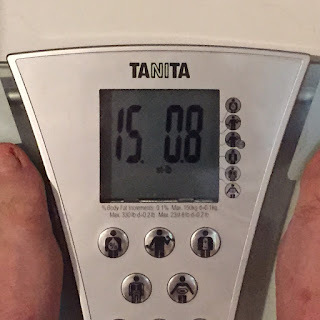 This is not me pushing some new fad diet, it is merely sharing my experience of the past 30 days. On Monday 6th July I got on the scales to record my starting weight. 15 stones 0.8 pounds. Given my current high carb diet, I decided that I could not progress straight to banting as it would be too much of a shock to my system, after all I still had to train for my upcoming triathlons. I decided to slowly ease myself into this new eating style. I recorded my weight one week later at 14 stone 11.6 pounds. A 3.2 pound loss. I didn’t feel deprived from my lack of carbs and was encouraged by the weight loss. 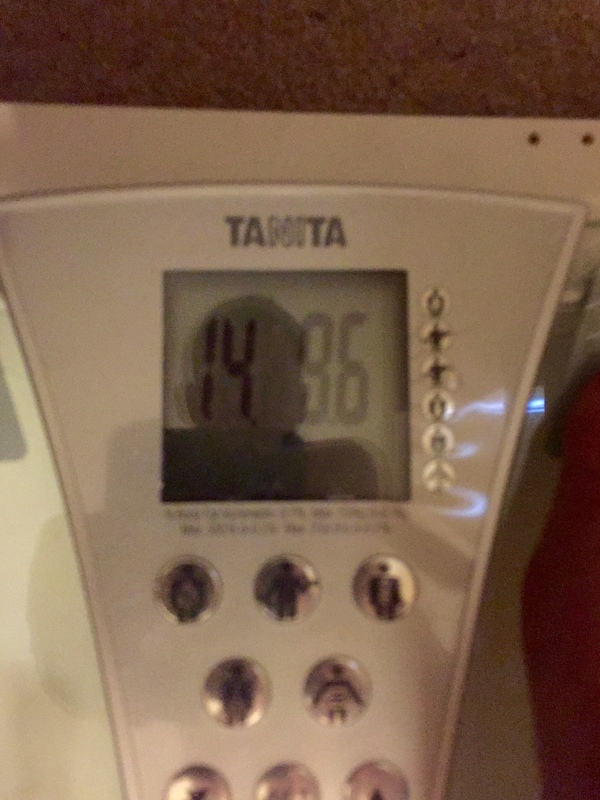 After a further 7 days on my reduced carb diet (chips, rice potatoes and pasta were still allowed at this stage) my weight had stagnated as at my next official weigh in it was 14 stone 12.8. This probably wasn’t helped by my night out on the Saturday night. "William Banting was a British undertaker who was very obese and desperately wanted to lose weight. In the year 1862 he paid a visit to his doctor, William Harvey, who proposed a radical eating plan that was high in fat but included very few carbohydrates. By following this eating plan Banting experienced such remarkable weight loss that he wrote an open letter to the public, the "Letter on Corpulence", which became widely distributed. 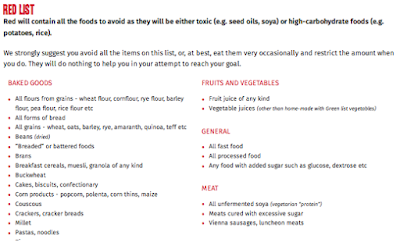 As more people started following this eating plan to lose weight, the term "banting" or to "bant" became popularised." Fundamentally it revolves around three lists. This makes life easy. 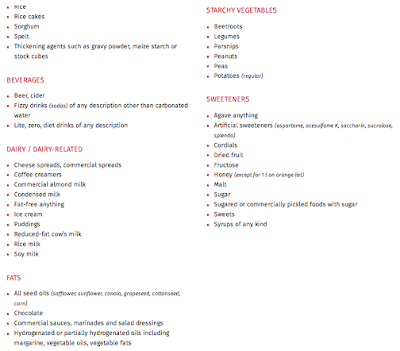 There’s a list where you can eat as much as you want from. 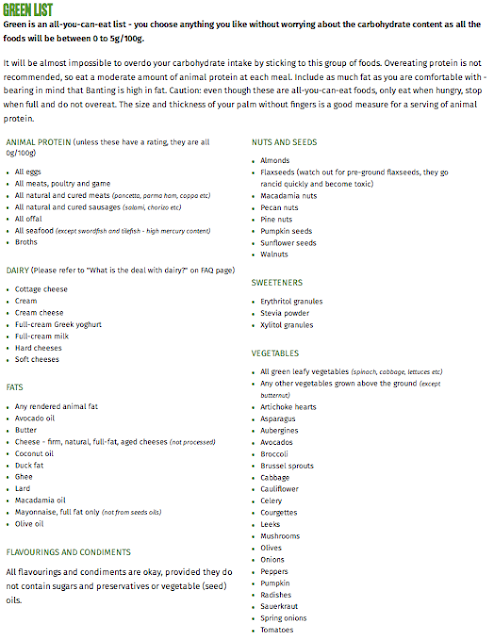 The greenlist. 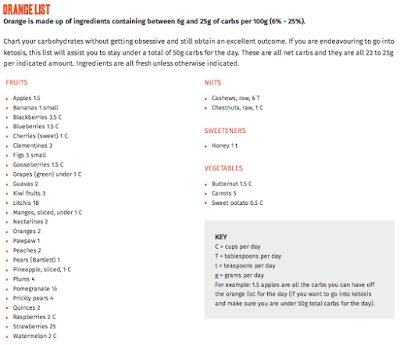 As list where you should limit the amount you consume to ideally two items off the list each day. The orange list. 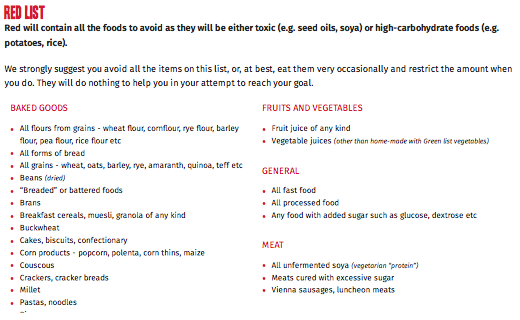 And finally the red list which contains the things you should avoid. 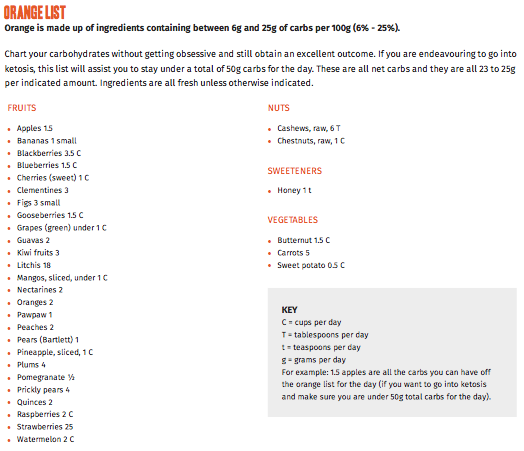 Given it is in a list form means there are no grey areas just a case of green orange and red. I like this about the diet. It makes it easy. On day three of banting, I’m not going to lie, I had the most horrific of headaches. I don’t normally get headaches, so in typical man fashion I moaned a lot and made sure everyone knew about it. But aside from that I’ve not really suffered any ill side effects. There have been no crashes when training. No weird flake outs when running or cycling. I’ve still done the usual 90 minute sets on my bike. Now time for day 7 of banting and my weekly check in.14 stone 9.6lbs which was a total weight loss of 5.2 lbs in 3 weeks. Maybe there is something to this diet after all. This last weekend I even raced on the diet. Previously race morning would have consisted of me hovering up carbs like they were going out of fashion. This time however it was a far more sedate affair (home made almond flour bread toasted with almond butter followed by a cup of hot chocolate (cocoa. whole milk, coconut oil and stevia)). I had a good race and the times were consistent with what I managed before I started the diet. This past Monday was time for my weekly recorded weigh in. Down to 14 stone 6lbs. My god its still going down. This continued weight loss has made me obsessed with my scales. 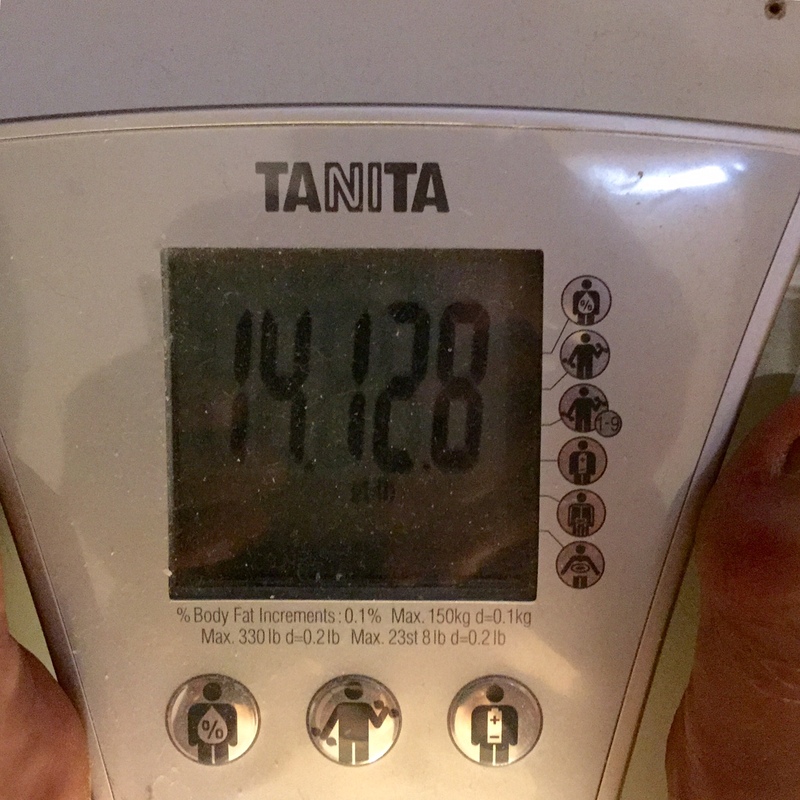 I weigh myself most mornings (and get told off by the wife). Today for example I weighed in at 14 stone 4.8lbs which represents a total loss of 10.2 lbs and takes my total loss since 2012 to over 2 stone. I now weigh less than I can ever remember weighing as an adult. I’m even lighter than when I lost a tonne of weight dealing with stress after losing my Mum. There have been a few times where I have struggled with the diet. Like when people bring cake into the Office but on the whole it’s been okay. Apparently there will come a point where I drop my snacks because I am still full but at the moment I am quite happy with what I am eating especially given my continued weight loss. The best thing about the diet is that I have been spending more time in the kitchen being inventive. I even amended the cauliflower wrap recipe to make some chips to go with Friday nights fish. Now to my new found views on the food industry. In a similar way to how the cigarette industry relies on peoples addiction to nicotine to keep them hooked, I believe the food industry relies on the same trap but with sugar as the drug. The food companies have departments to get people addicted to their products by replicating “the bliss point” which is a perfect combination of fat, carbs and protein which keep you going back for more. People being scared of fat is actually making the situation worse (where you read low fat on something – please instead read either high in sugar or chemically modified to within an inch of its life). 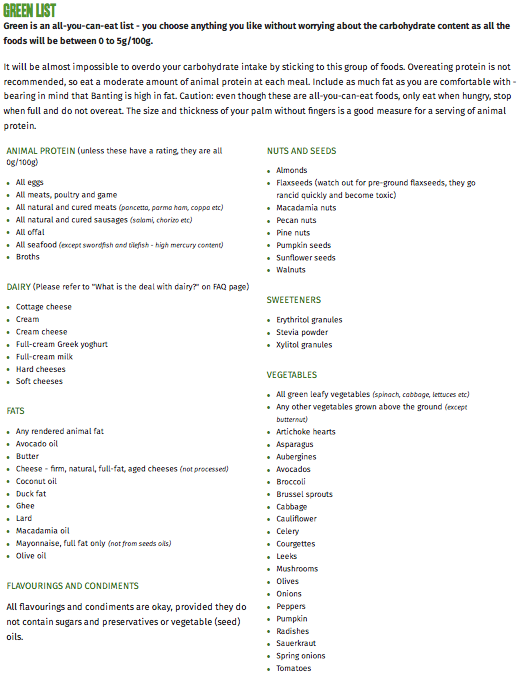 If you can't try the banting diet, why not try to cut out on the processed food and eat something more natural. Back in the days of the caveman, there wasn’t such a thing as a sugar loaded breakfast cereal. So how is it that today this is common place? Quite ismply the problem was created as a result of the 2nd World War. Governments subsidised farmers to grow wheat and other grains which have now found their way into our diet and it is this high carb content which is causing obesity. I have not gone into this diet without doing some research. I work in a technical job so it would be remisce of me to not do any research. This started by me watching "Fed up" (trailer) and since then I have had my eyes opened to the sugar trap that exists in todays society and how it is firmly led by the food companies greed. I can’t wait to be able to watch “That sugar film” (trailer) which is a documentary which charts someones weight gain by eating 40 teaspoons of sugar (the average each person consumes) each day in supposedly healthy products for 60 days. I hope you found the above interesting and as I said previously I am not a nutritionist this is merely a recollection of my experience of the first 30 days on my new diet. Thank you so much for your great sharing.I like the writing format and presenting.I am very happy to see this type post because it contain different information and also it readers will get new ideas and information.